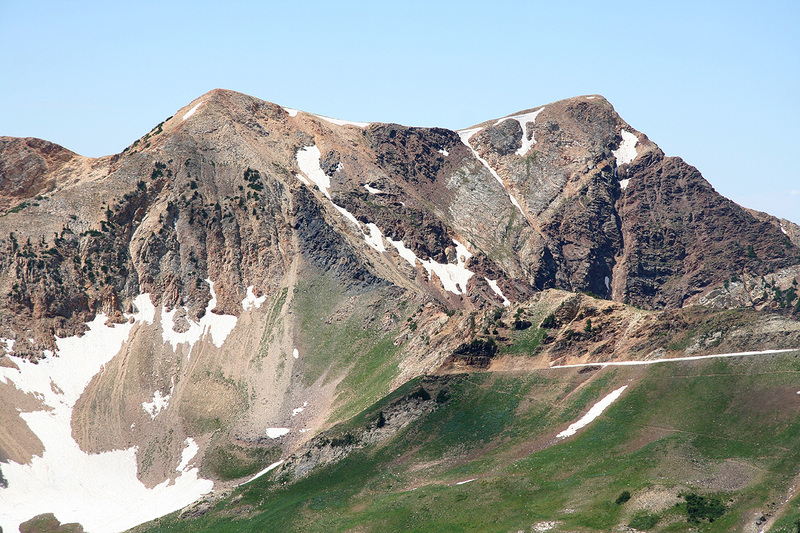 How to get there: Drive from Salt lake City to the ski area Snowbird. 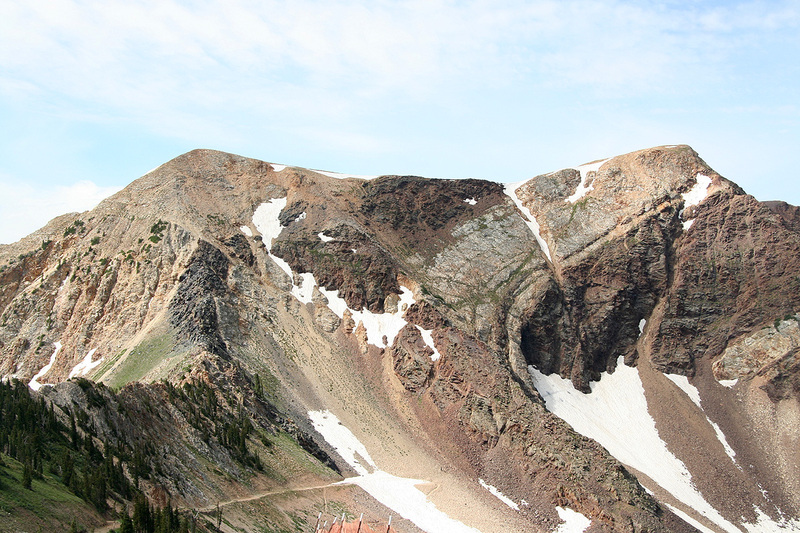 Route description: We hiked straight up towards the right hand ridge of the Twin peaks as seen from the lodge. The hike to the summit traversing both summits is quite easy. We returned after traversing the two peaks down along the ridge to the top of the gondola lift. 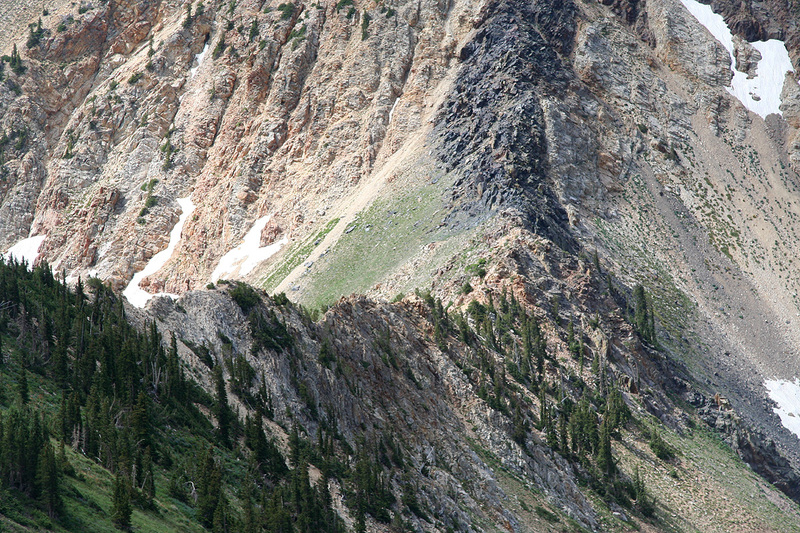 This involves a rather nice little ridge that can be easily traversed with some light climbing/scrambling. The end of the route climbs a small top called Hidden Peak, serviced by the lift. This peak has no significant prominence. Comments: I led a rather diverse group from a scientific conference along the described route. The hotel has a pretty good climbing wall as part of it's outer wall. Twin Peaks seen from the upper part of the Snowbird ski slopes. The right summit is the highest. Twin Peaks as seen from the top of Hidden Peak (the Tram top station), on July 27. 2008. The connecting ridge, as seen from Hidden Peak. Twin Peaks as seen from the top of Sugarloaf Mountain.